Newspaper and internet articles, psychiatry, Shanes story. 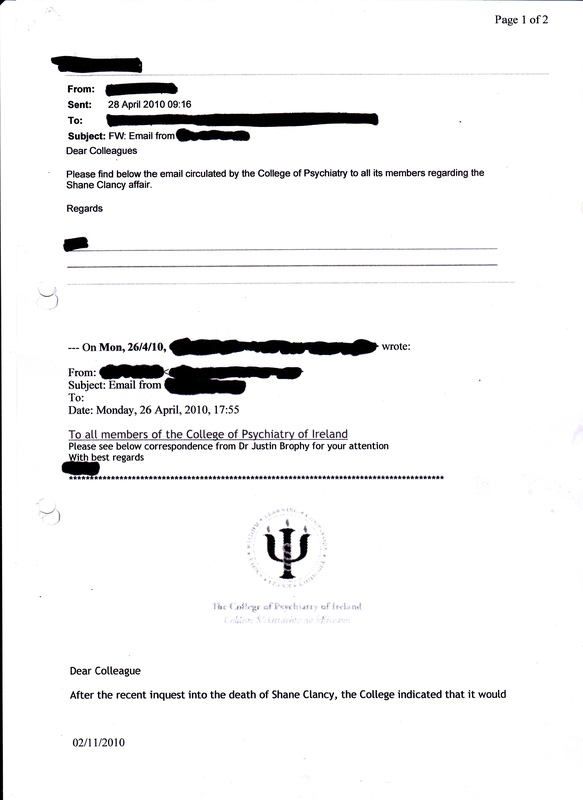 The College of Psychiatry of Ireland; Protecting patient’s interests? It is widely recognised, see Shane’s report, that Akathisia, brought on by prescription drugs, is the condition which can cause a drug induced suicide and/or homicide. The manner in which antidepressants help to restore normal mood isn’t known for definite, but it is probably related to their effect on regulating the activity of brain chemicals called neurotransmitters. These are chemical messengers that help brain cells communicate and pass signals to each other. The chemicals most involved in depression are serotonin and noradrenaline and antidepressant medications influence their activity. There are other theories to explain the effectiveness of antidepressants in depression, such as their effect on the inflammatory and immune system and on their potential to promote nerve cell growth or (‘neurogenesis’) in certain brain areas. It may be through a combination of these effects that they are helpful in depression. Depression and other psychiatric illnesses are associated with an increased risk of suicidal thoughts, self-harm, and suicide. You should be aware that this medicine may not start to make you feel better for at least two to four weeks. (This seems at odds with Prof. Casey’s statement, at a 2003 Lundbeck seminar who stated that these drugs work WITHIN DAYS.) However, it is important that you keep taking it in order for it to work properly and for you to feel better. If you feel your depression or anxiety has got worse, or if you have any distressing thoughts, or feelings about suicide or harming yourself in these first few weeks, or indeed at any point during treatment or after stopping treatment, then it is very important to talk to your doctor. (No mention that it could be the drug causing these feelings and of course the patient will still be waiting for the anti-depressant effect to kick in). SSRI antidepressants have been associated with the development of unpleasant or distressing restlessness and the need to move, often accompanied by an inability to sit or stand still. This is most likely to occur within the first few weeks of treatment. If you experience these symptoms you should consult your doctor. (No mention of the serious side-effects that akathisia can cause, just consult your doctor). Shame on the Irish College of Psychiatry. What was that you said??? 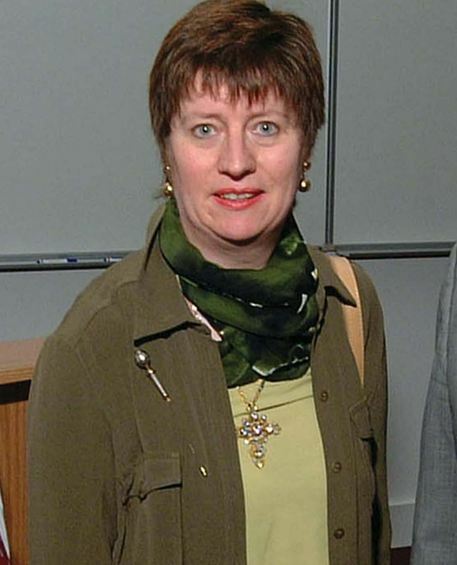 This is a picture of the lovely Dr Corry who testified about the dangerous side-effects of SSRI’s to the Irish Government in 2006. Link. We met him shortly after Shane died when he said in the papers that he would stake his career on the fact that Shane “would not have done what he did if he wasn’t on anti-depressants.” It turned out his career was at stake when Timothy Dinan, a member of the Irish College of Psychiatry made a complaint to the Medical Council about Dr Corry’s comments. Dr Corry said the same thing again on RTE a few weeks later and this time another member of the college made a complaint against RTE to the Broadcasting Association of Ireland. They really don’t like to be contradicted do they? Is it any wonder that medical professionals are afraid to speak out. 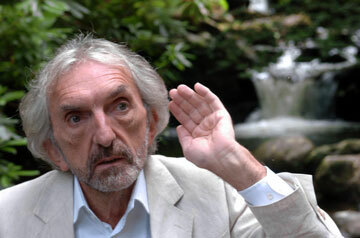 Dr Corry died on 22.02.2010. Something is happening here in Ireland with a growing number of brave doctors, psychiatrists, and medical professionals willing to speak out. An increasing number are raising their concerns about the use of mind-altering SSRI’s. hallelujah! 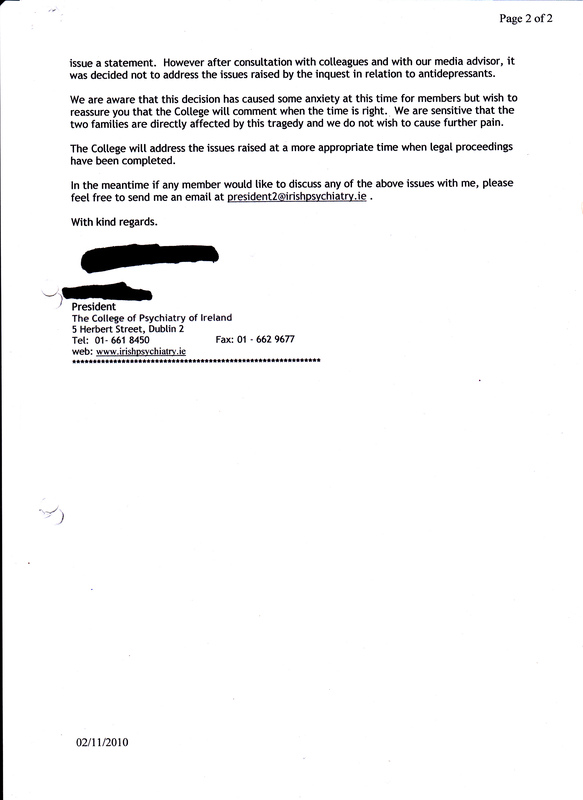 For years the Irish College of Psychiatry have denied that Antidepressants can cause suicide and violence. They have been allowed to deny the devastating side-effects of these drugs, undisputed, for far too long. I won’t go into my opinion on their level of ignorance, I’ve said it already. 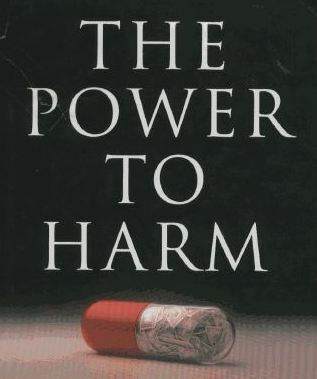 Denying the side-effects of these drugs, prescribing them for complaints from bed-wetting to broken hearts and getting paid handsomely by the same pharmaceutical companies who make these drugs, is in my opinion an unforgivable disgrace; especially when even the drug companies have to admit that the drugs can cause, inter alia, both suicide and violence. What was that you said??? No evidence? 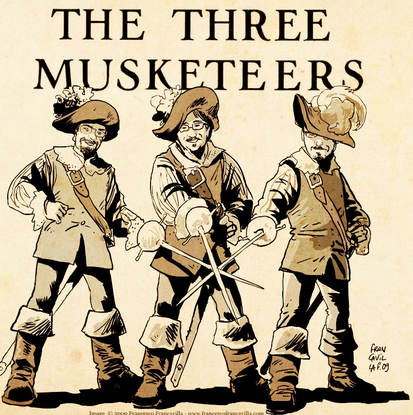 Full Article Here. Prof. Patricia Casey and “Antidepressants for bedwetting”. Professor Patricia Casey…Antidepressants are a standard treatment for bedwetting in children. In the High Court 2002, CHRISTOPHER KNOWLES v THE MINISTER FOR DEFENCE, IRELAND AND THE ATTORNEY GENERAL, Professor Patricia Casey gave evidence that antidepressants are a standard treatment for bedwetting in children, here. Considering the extremely dangerous side-effects that can come with these drugs, do the benefits still outweigh the risks? All antidepressants come with a black-box warning in the U.S. because of the suicide risks associated with this medication. Can it really be the case in Ireland that these dangerous drugs are still being prescribed for bedwetting in children who probably haven’t yet been taught the words “suicide ideation”? Can being dead possibly be better than wetting the bed? I wondered whether this was the opinion of the Irish College of Psychiatry collectively or just the opinion of Prof. Casey so I sent the college an e-mail yesterday. I had thought about e-mailing Prof. Casey and asking her directly but I would probably get the same treatment as John Mc’Carty of Mad Pride who also disagrees with her on a few issues. She was quoted on the 4th Oct, in UCD’s student paper “The University Observer” speaking of Mad Pride, she said I think the best thing is to ignore them. It will be interesting to see if I get a reply…. My name is Leonie Fennell and my son’s name was Shane Clancy. He killed himself and another young man on 16th Aug 09. As you are no doubt aware, I blame this tragedy on the antidepressants he was taking. I am fully aware that you totally disagree with my stance and despite the fact that the drug companies themselves have warnings of suicide and violence on their PILs, you are still prepared to stick to your archaic denials. Anyway that is not the reason I am e-mailing as I’m sure this will come up again in the future, so I will leave that issue for another day. My query concerns your stance on antidepressants and bedwetting. In the High Court 2002, CHRISTOPHER KNOWLES v THE MINISTER FOR DEFENCE, IRELAND AND THE ATTORNEY GENERAL, Professor P. Casey gave evidence that antidepressants are a standard treatment for bedwetting in children. I was wondering if, considering that you seem to be unaware or possibly ignoring the mounting evidence of the serious side-effects that these drugs can have, is this the opinion of the College of Psychiatry of Ireland or just the opinion of Prof. Casey as a lone member?